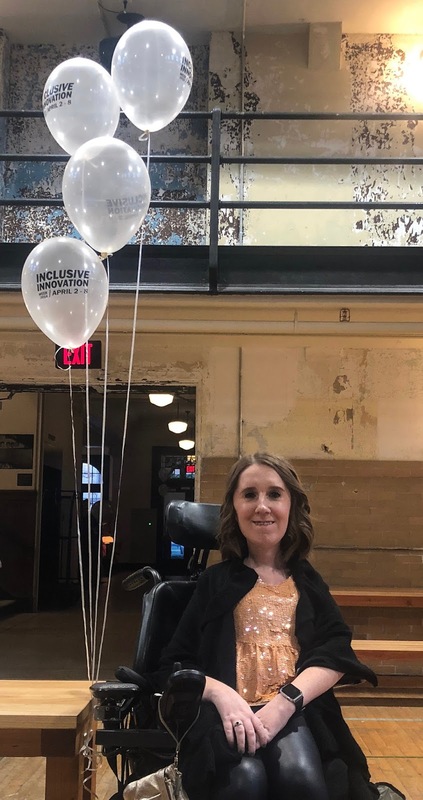 I guess for me, it's more accurate to call it Inclusive Innovation Week(end), because work/life was too busy during the week for me to join in on any of the amazing events going on through the city. I made up for it by going to two events on Saturday, though, and it was such an incredible day. I'm going to do things a little out of order and talk about the second event first - the All-in Silent Disco. The silent disco was the brainchild of a group of people from the disability community in Pittsburgh that came out of a meet up facilitated by the city's Innovation and Performance department - we wanted to make sure that the disability community was represented during Inclusive Innovation Week. I am so glad that I got to be a part of the silent disco, and had such a fun night! The Ace Hotel was the perfect venue - the space was great, and we had lots of hotel guests and people who were at the hotel restaurant for dinner/drinks come in to check out the silent disco. The DJs (DanceCrush) were fantastic, and everyone who came had a great time dancing the night away. Silent discos are so funny because without the headphones on, you can't hear the music - so you're watching people dance to nothing! And there are also 3 different music channels, so you're not necessarily hearing (or dancing to) the music that the people around you are. We also had vibrating floor panels (courtesy of Frequency-528), so that people with hearing impairments could feel the beats - but they ended up being a huge hit for everyone! We partnered with Thrival, a local music festival (I think of it like Pittsburgh's version of South X Southwest), and UPMC, and it's great to know that organizations like these are interested in furthering conversations of diversity and inclusivity. 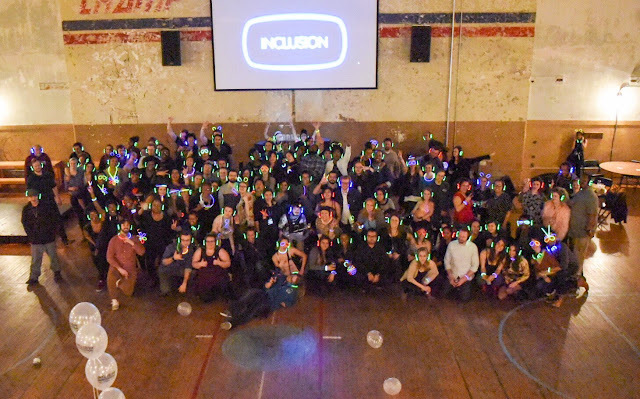 And, I'm really glad that the disability community was able to come together and plan such a fun event - sometimes, conversations around disability and inclusion can be more like lectures, so I wanted to make sure that our event focused on showing how to be inclusive, and not telling - and I think we succeeded! "We also had vibrating floor panels (courtesy of Frequency-528), so that people with hearing impairments could feel the beats"
That is amazing! Love it. Right?! I didn't know they existed before this event, but I was so happy to learn that they did. They were SUCH a hit - both for people with hearing impairments, and without!